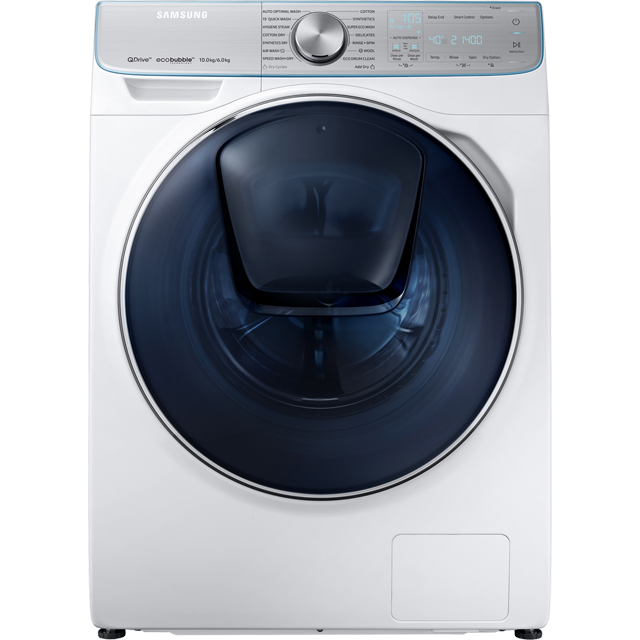 Laundry days will always be effortless with this fantastic washer dryer from Siemens. Thanks to its 7kg drum, it’s ideal if you live in a medium-sized household. It also has a B energy efficiency rating. 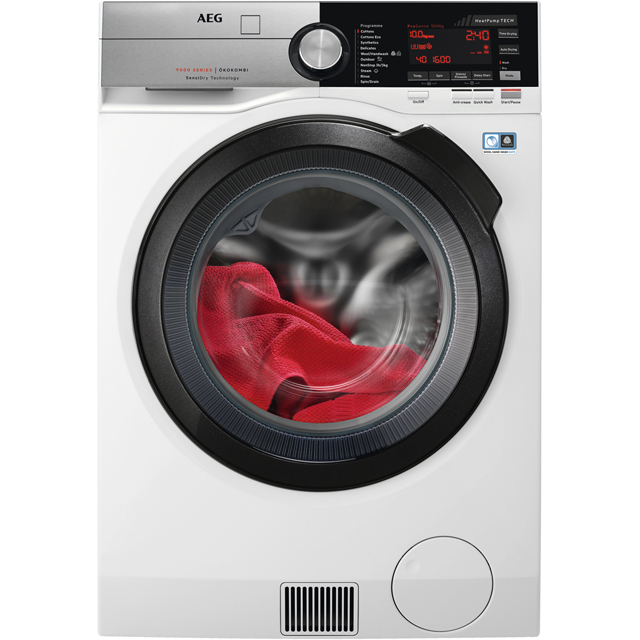 When you need to get your favourite outfit clean in a hurry, you’ll find the 15 minute quick wash really useful. And, thanks to clever sensor drying technology, this model detects the level of moisture in your clothes and works out how long they’ll take to dry. Not only does this protect them from over-drying, it saves you energy as well. Fabulous quality that actually means something! A replacement for an old Whirlpool washer dryer which in fairness I thought was good til the bearings went - and I got this. It's quiet, it's quick and I believe it's fairly economical. The build quality seems really good, (it's made in Italy along with the very similar Bosch, Neff and Smeg machines I researched - as well as Ferrari's and Maserati's which I didn't!) and it washes really well and it is a standard size which tucks away nicely behind a standard 60cm unit door. The things I particularly like are the quick wash (15 min!!) and the option to vary the time of the other washes - short, medium or full. And as another reviewer says, the drying is automatic so it stops when it senses the load is dry enough - according to what you want, by the programme you've chosen. 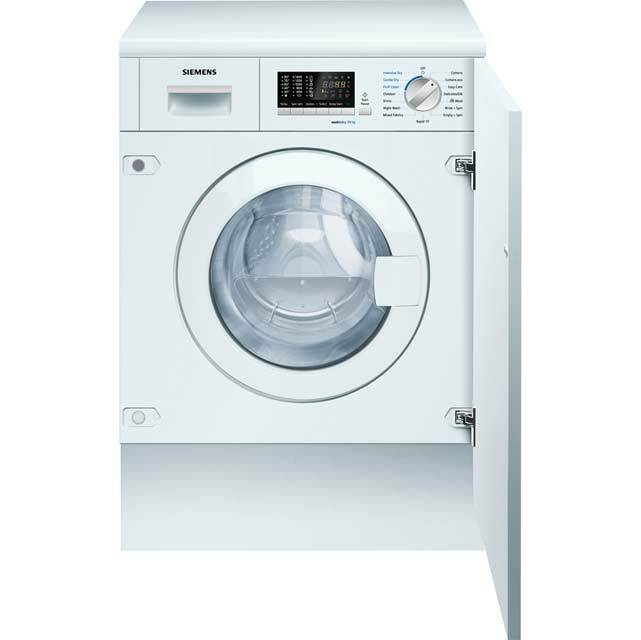 Another HUGE plus about integrated washer dryers which no-one seems to mention: with a normal tumble dryer you either have to have a hose venting to the outside, or with condenser dryers you have a tank which you have to constantly empty. With a washer dryer the extracted water simply goes down the same drainpipe as the washing water- nothing to see, nothing to empty. Genius - and so convenient! You do have to run a special anti-fluff programme every so often but guess what - this machine reminds you when it's time to do that and it doesn't take long! 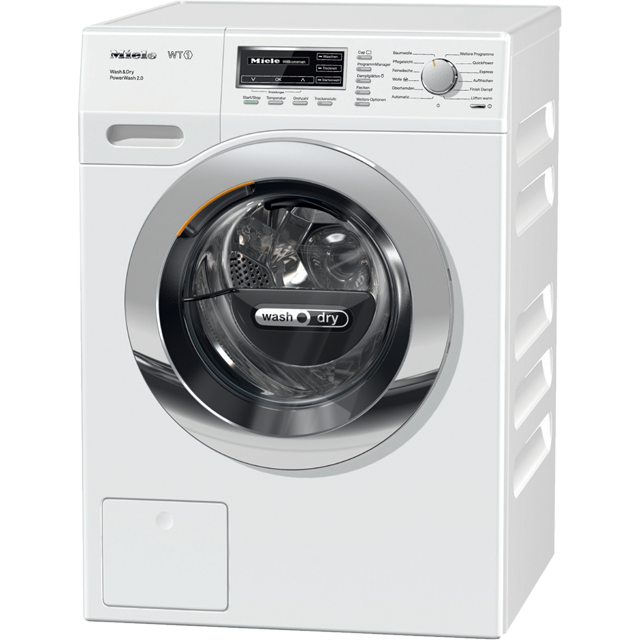 To anyone who doesn't have so much washing that they need to have washing and drying going at the same time (obviously when this is drying you have to wait to wash the next load) - I highly recommend this machine for its ease of use, quality and huge adaptability.